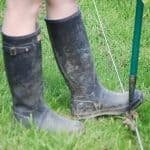 Are you new to gardening? Maybe wondering how to start a new vegetable garden? It’s not hard if you have a plan. So let’s look at what steps you should take to start your first garden. The first step is to decide where you’ll grow your garden. Make sure you have enough sun (vegetables nee 6 to 8 hours of sun daily), well draining, rich soil and good proximity to your gardening tools and accessories. Before you start, use a ball of string and some wooden sticks to peg out your veggie garden area. You could either dig this out following the steps below, or use a Lasagna Bed to grow your vegetables. These first two steps are only really relevant if the area you are going to choose is already grassed over. First, cut easy to handle squares of turf with either a grass edging tool or a flat spade. Once you have cut each square, the next step is to slice each square of grass off. 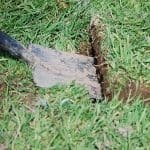 Do this by sliding your spade under the grass at a depth of about 5cm. These grass turf squares can either be turned and placed upside down to kill the grass, or used in some other area of the garden. 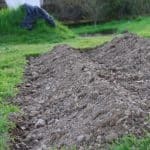 It is now time to dig and turn the soil to get it ready for growing your vegetables. Your dream is starting to become reality. You can dig your garden area with a fork, removing larger stones and weed roots. 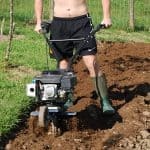 But breaking new ground might require a rototiller, or you’ll give up before you even plant your garden. 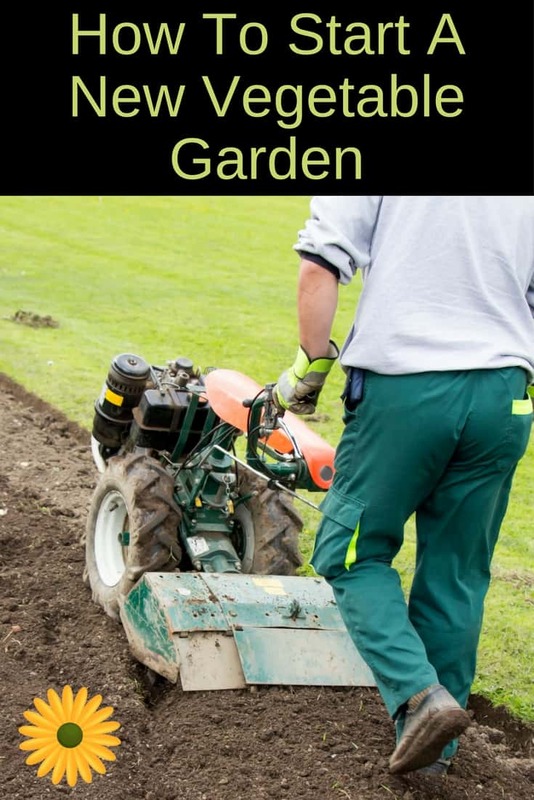 Your new garden area has probably supported grass growth for many years and will have little or no nutrients left to support your new vegetables. You’ll need to improve the soil before planting. Let’s look at a few ways to help your soil give you the best crops possible. 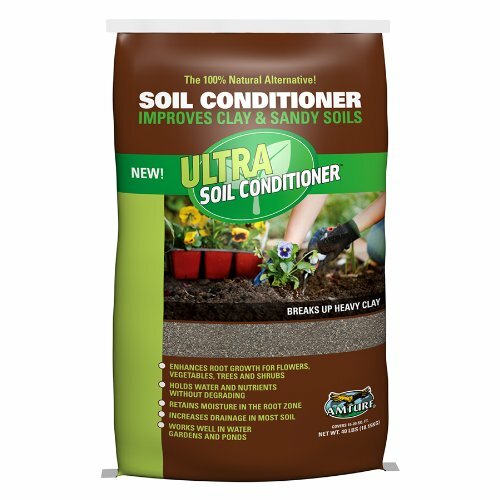 Amturf 46000 Ultra Soil Conditioner, 40-Pound The absolute best way to improve soil would be to add some well-rotted manure, and a lot of it. If the ground is poor then I would recommend adding a barrel per square meter. But there are other ways to improve soil. Yes you could use a chemical or pelleted fertilizer to add nutrients, but the only way to help the structure of your soil will be to add some organic matter (here’s how to grow an organic vegetable garden). Home produced compost works very well. If you have been composting your kitchen waste and grass cuttings over the years, this would make an ideal way to give a boost your soil. Utility produced compost is often available from local authorities as a product they manufacture from the kitchen and garden waste bin collection. Horse manure offers a good balance of nutrition and organic matter, as it is usually a mix of decomposed horse waste and animal bedding. Fresh manure is too acidic, so only used manure that’s well rotted. Commercial soil improver is available at all garden centers, but this can be a very expensive approach, especially if you have a large vegetable garden area. Pelleted fertilizer can help to feed your plot and is particularly helpful as a boost, but it offers no structure and it won’t help your plot to retain the correct moisture for your plants. Finally, use a fork to turn over the soil mixing it with your chosen fertilizer, and then your vegetable plot is ready for seed sowing and potting on seedlings or direct planting of young vegetable plants, depending on the time of year. But what to plant where? If you are just growing some easy vegetable plants just to supplement your grocery bill it is probably enough to keep similar plants together, such as carrots and parsnips (roots), green leaf plants like spinach and lettuce (leaves), and possibly onions and leeks (stems), and simply grow them in a different place each year. Here’s a very simple plan below to give you an idea how you could swap growing positions. Split your veggie plot into 6 equally sized areas. 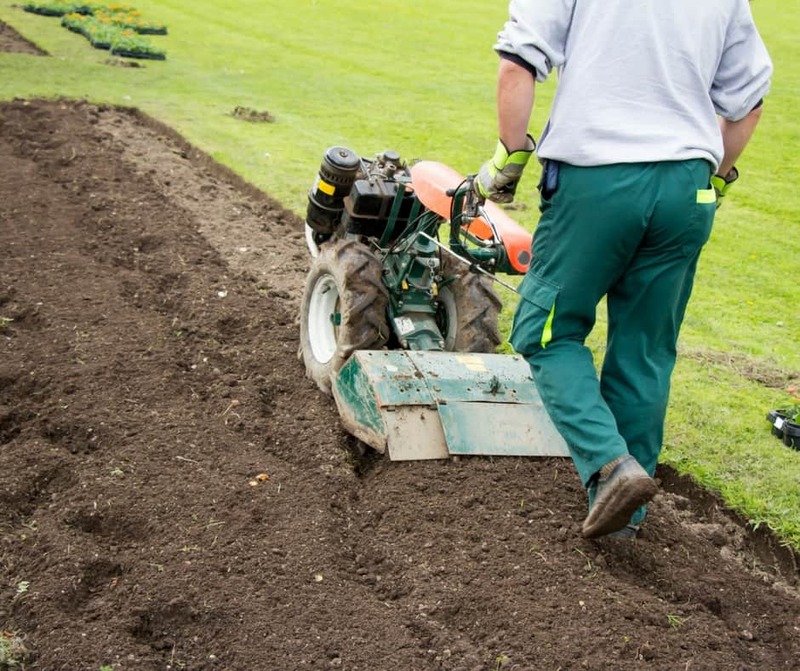 The process of moving crops around your vegetable garden plot is called rotation, and to follow a rotation plan you would usually place plants into groups. Rotating the growing positions helps to maintain soil nutrients as well as controlling pests and disease. It is also worth mentioning that you should feed the soil each year so that you keep it healthy and able to support crop growth. The above plan would work when beginning a vegetable garden and for a limited amount of easy to grow vegetable plants, but the more variety of plants you were growing and the bigger the vegetable garden, the more you will need to learn about vegetable groups and crop rotation. If you like the idea of eating organic vegetables, here are some ideas for beginning a vegetable garden organically , and here you will find some more starting a vegetable garden tips and ideas. Does It Matter Where I Plant My New Garden? When you first design your vegetable garden plot you need to think about the growing space you have and how you are going to use it. Yes, you will need to follow some sort of crop rotation plan, but there are some plants that don’t need rotating and instead take a permanent space in your garden. Herbs, often available all year round, should be grown as close as possible to the kitchen door. This way they’ll be within easy reach while cooking. Some crops will be in the ground starting in the fall. It’s better to plant these in the sunnier parts of the garden. A south facing property is ideal in the summer, but depending on which direction the buildings are, it can plunge things in the shade during the colder months. 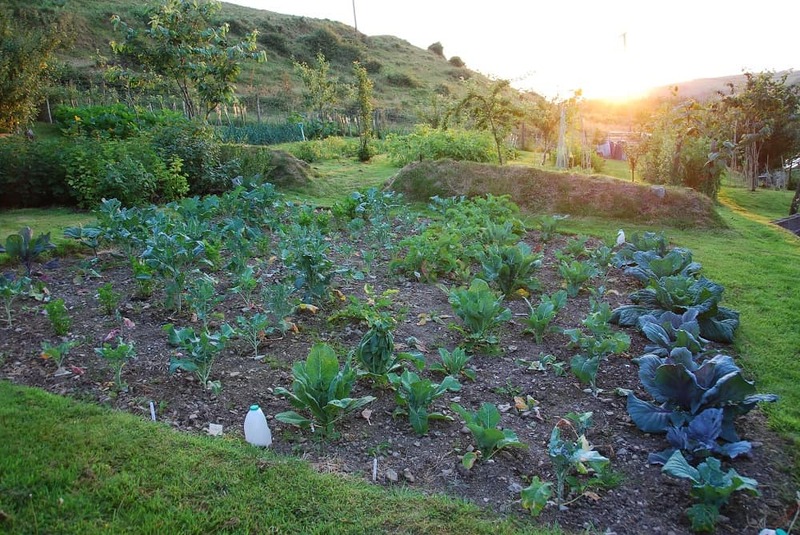 Choose the part of the garden that gets most sun for overwintering crops like purple sprouting broccoli, garlic and onions. Follow your rotation plans, but consider where you put each group to make sure that each part of your growing plan has some light during the winter months. In the above example, the house is facing the East. It will have light all day long in the summer and winter so the crops can be rotated from one quarter of the garden to another. In this example the house is facing the south. It’s ideal for the summer, but during the winter the garden will be in the shadow of the house for most of the day. In a situation like this rotate your crops in strips. Place plants that will stay in the ground during the cold winter months as far away from the house as you can. This way they will receive as much light as possible. When starting a new vegetable garden you may come up with fruit or vegetables that you would like to grow that do not fit into any rotation group, but instead need a permanent location. These could be fruit bushes, an asparagus bed, strawberries, rhubarb, a comfrey patch or even Jerusalem artichokes. All of these plants have different requirements when it comes to soil condition and light. These plants should be planted in areas that are less accessible, since they’re more or less permanent. For example, you could growing comfrey behind a shed or next to the compost heap. Or you could incorporate these plants into a planting scheme or border. Jerusalem artichokes have a great structure and would look lovely as a backdrop in a flower garden, as would rhubarb and strawberries. Here are some more starting a new vegetable garden ideas. Can new turned over garden areas be sprayed with weed killer the first year and planted the second year , to minimize return of grass and weeds?